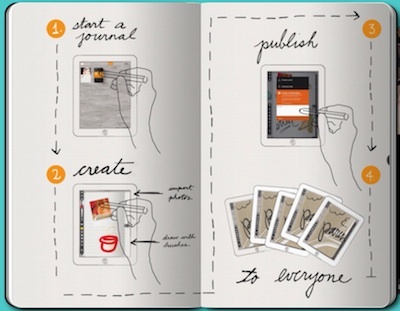 We have pages of notes in Note Taker and Notebooks of sketches in Penultimate. Both of those daily used solutions offer methods to push out our work to others. 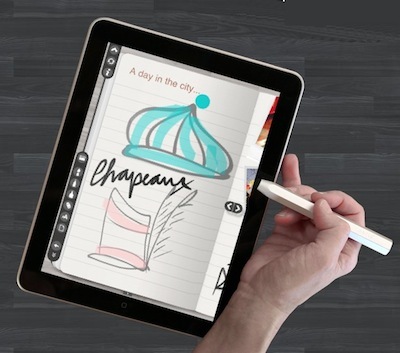 With Clibe, we now have a way to constantly add to a notebook on our iPads and have them automatically update in the cloud for others to see. 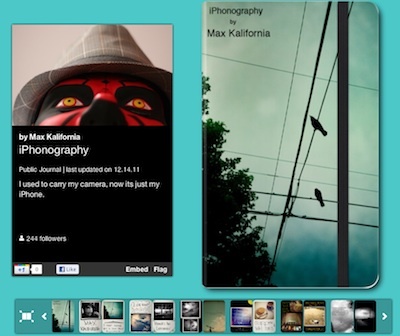 The Clibe app, currently free, offers many ways to add content to a notebooks. The ‘others’ we share with can be a small group of invites, the world or even just our eyes only. Each Clibe notebook can be on any subject a person wants, as well the cover is customizable, so a collection of work is easy to find later. 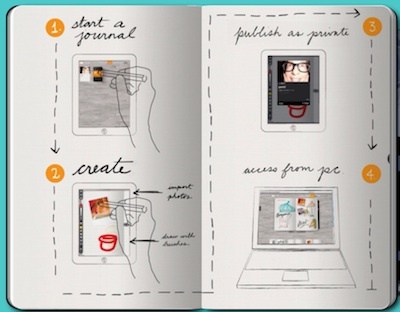 Entries into the notebook can be freehand Pen or Paintbrush, Photos, Typed Text (with justification, color and size choices), Highlighting and even the Background Paper can be adjusted. Scratching your head on how to use this the power of Clibe? 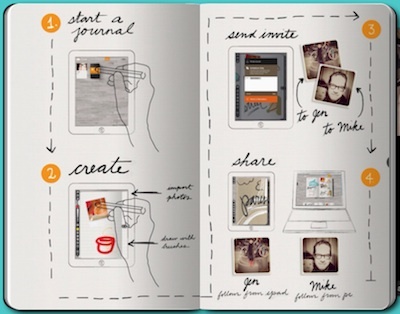 Think about teachers sharing a notebook or homework with students. 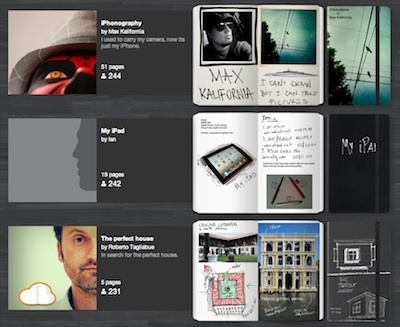 Imagine your design or layout sketches now viewable to others in a group as you create them. How about notebooks that show your interests or skills that encourage future employment or the gathering of people who enjoy a like interest. A family notebook of your last trip is a lot more fun to view by others than just a stack of photos.